Successfully Added Portable USB Vinyl To MP3 Turntable - 2 Speeds, Built-in Battery, RCA Output Jacks, 45RPM adapter to your Shopping Cart. Listen to the classics in a modern form – this portable USB turntable will make your old vinyl records easy-to-play and a joy to listen to. Do you have an extensive collection of old vinyls? Thinking of an original gift for a friend who’s a collector? The portable USB turntable is a great gadget for that and will make sure all your vinyls have a place in the modern world. The turntable comes in a compact size and will definitely be a much more portable option than the conventional way of playing your vinyls. The turntable won’t bulk up the space at your home or office. 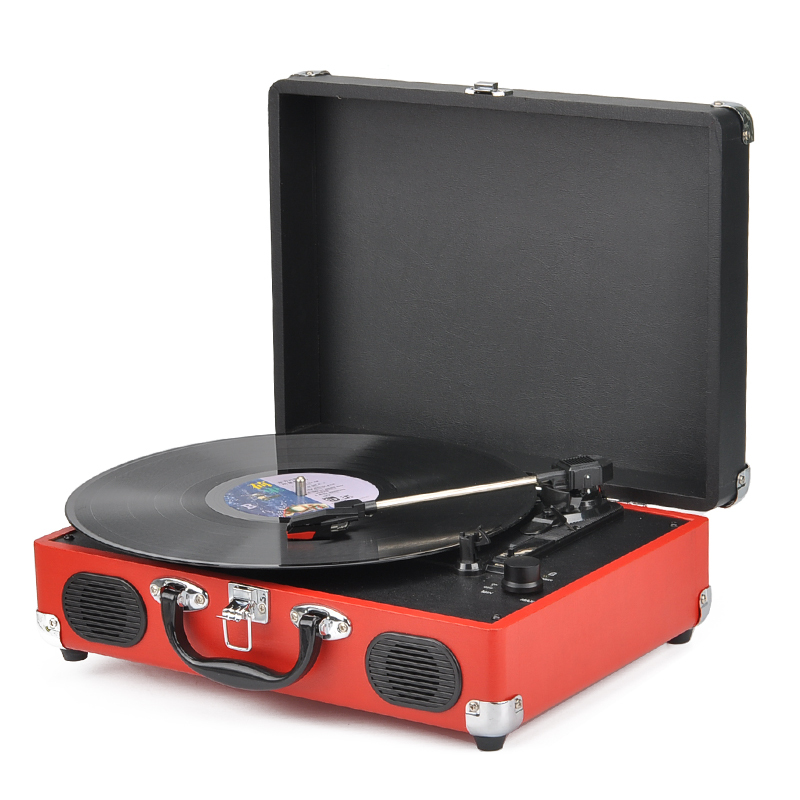 Use the turntable to play your favorite classic tracks in style or convert them into MP3s. With two supported speeds, the turntable can work at 33 and 45rpm and comes with a built-in lithium 1000mAh battery, which offers 4 hours of continuous playback and can quickly charge up in about two hours. The USB turntable comes with a USB port and an RCA output and sports 2 speakers at 0.4W each. The portable USB Turntable comes with a 12 months warranty. Brought to you by the leader in electronic devices as well as portable USB turntables..